Oh my God! I was just laughing out loud so loud I scared my cats...so I didn't realize it, but I have the ability to see where people are referred from just like Lori and Dylan...I have a site meter but I didn't realize it had that feature until Dylan's post today. So someone found me looking up "drop your pants nurse." What in the world were they looking for??? Is it CD's or CDs? TV's or TVs? 49ers or 49'ers??? There are conflicting opinions out there and heaven forbid we offended the Grammar Gods!! 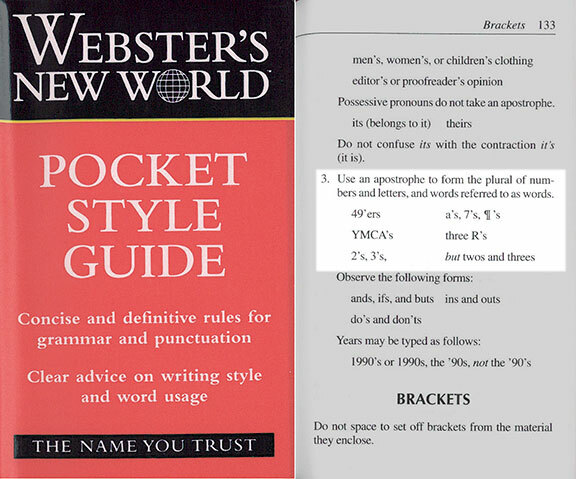 In one corner of the ring we have Webster's Pocket Style Guide, courtesy of Cameron Moll, which believes in the apostrophe. In the other corner we have Nick Usborne, also courtesy of Cameron Moll, who is a staunt believer in the No Apostrophe Policy. But then again, we have Bob the Angry Flower that disagrees in this way, this way, and this way.